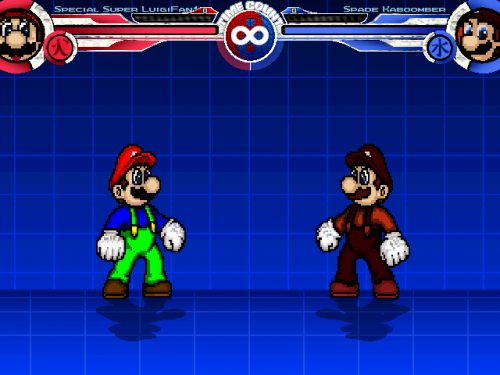 A self insert made by LuigiFan1 aka Star This character is an edit of Super Luigi with edited sprites for extra colors, new codings and other stuff. You can check other stuff in this video too. Enjoy it. Hey, guys! I'm here to introduce myself so you can know something about me. 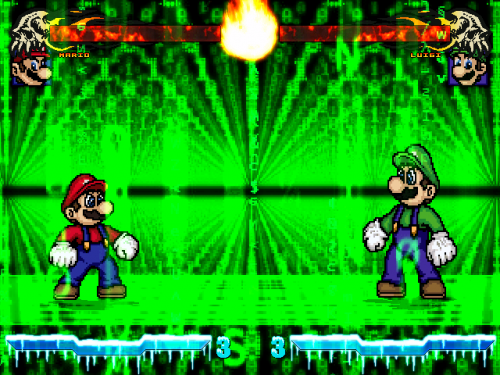 I'm a person who used to make recolors until now when I'm mostly making Mario/Luigi edits. I'm making edits mostly for Mugen 1.0/1.1, but now I started to work on some of them for WinMugen. I spend most of my time working on edits, drawing or making some papercrafts. I'm mostly fan of Mario games, but I also like some other games like Sonic. I mostly represents myself online as Luigi with fox's ears and tail, cyan blue jacket with hood, grey shirt, dark blue pants and black shoes. I mostly like to tell jokes with my friends to try be funny. I know sometimes to be angry when someone makes something bad to my stuff. I'm also helping my friends with some stuff when they need it and when I'm not too much busy about my stuff. I mostly hate not safe for work stuff and fetish stuff because some of them makes me angry or disgusted depends on what it is about. I love to watch videos on YouTube or listening some music. That's all I can say about myself. A stage made by me. This stage is based on a background from a character named Virtual Donald Basic. Color green is not actual like it is in the character, but I put it because it fits to me. Added a plain for characters to fight. Has 3 themes which you can change to one you like the most. 2 of them are from Virtual Donald while last one is from some other virtual character. Enjoy the stage, folks. 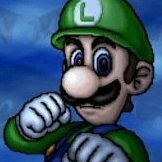 Omg, I can't believe you add my Luigi edit here! Thanks anyways, my friend.